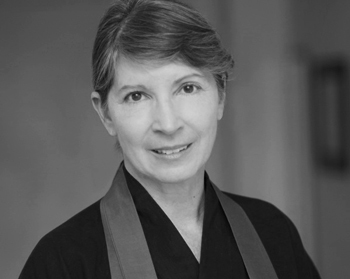 Deirdre Eisho Peterson came into Zen practice in 1996 and began practice with Roshi Enkyo O’Hara in 1999. She was named a Village Zendo Dharma Holder in 2013 and received Dharma Transmission in 2015. Eisho lives in Sedona, AZ and founded the Red Rocks Zen Circle, a Village Zendo affiliate, in 2007. She is a communication skills consultant who conducts training workshops with business professionals.